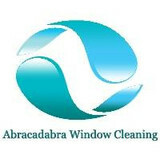 Abracadabra Window Cleaning will deliver the finest quality service and care for your most valuable investments: your home or business. We provide specialized, one on one consultation to determine all your servicing needs; all at no cost to you. We value our relationships, and strive to make your experience with us magical and memorable. Contact us today for a free estimate and let us help you see things perfectly clear! KSR Cleaning is dedicated to making sure your home or office is completely clean. Window cleaning, Pressure washing, Gutter cleaning, Roof Cleaning and more. All come with the same promise of quality, care, and dependability. Fully licensed and insured, KSR Cleaning is an experienced contractor with years of of expertise and a proven track record of quality. Our Mission is to earn the confidence of our customers by providing unsurpassed quality without compromise, focusing on customer needs and satisfaction, by utilizing our teams specialized talents and vision to achieve shared goals. H & S Window Cleaning was established in 1998 with the belief that quality window cleaning and courteous personnel are the standard by which to grow a successful window cleaning company. Following years of successful growth, we know that our standards are very appealing to the discriminating consumer. H & S Window Cleaning has experienced a steady growth and has been supported by long term clients that have appreciated personalized attention and immediate responsiveness of management and employees. We are one of the largest privately-owned Window Cleaning firms in Georgia. TruClean Soft Wash Pressure Washing and Window Cleaning are professionals that look after this chore for you with a 1 time cleaning or on a regular schedule. Our service standard is very high. We specialize in all residential homes including Atlanta’s finest homes and Commercial Building 4 stories and under hand detailing your windows to perfection and pressure washing using a great eye for detail for a reasonable price. 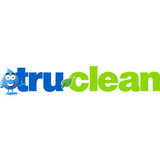 TruClean are professional pressure washing and window cleaning experts. Top Vision is specialized in window cleaning, pressure washing, gutter cleaning. 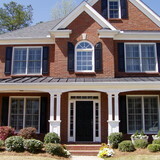 Georgia’s leader in home services, we have earned the trust of homeowners across the Metro Atlanta. We are dedicated to improving the look and value of homes and small businesses in their communities. You can feel safe knowing our team of field technicians are fully trained. Estimates are always free, and our services are more affordable than you think! We are a family owned and operated business with teams of 2 to 7 technicians. We offer complete window cleaning which includes glass, sills, tracks, frames and screens at no additional cost. We also offer other cleaning services such as light fixtures, chandeliers, blinds and pressure washing. We are a Husband and Wife team that has been in business for over 10 years - we do all the work ourselves so that we can provide a more personal service. We are punctual and will come to your home in a timely manner (even on weekends to fit your schedule). We have a broad service area that not only covers the metro Atlanta area, but much of North Georgia - something other companies aren't willing to do for their prospective clients! Our complete window cleaning process consists of a thorough top to bottom frame cleaning, razor cleaning on the glass, window sill and screen cleaning for an overall cleaner appearance. This is performed inside and out for best results. Along with our window cleaning services, we also clean gutters, foyer lights, light fixtures, ceiling fans, mirrors, chandeliers and even offer pressure washing! Our rates fit any budget and our personal services have allowed us to retain many recurring clients. Call us for a free over the phone quote! My name is Nathan Neal and I am passionate about the services my company provides. Starting out as a college job, I turned the company into my full-time passion and am now an industry veteran offering services since 2003. Squeeky Kleen’s professionals are always in uniform and respectful. We cover anything that we have to work over with floor towels and move furniture as necessary. We use inside shoes or will remove them all together to make sure your home is left undisturbed. 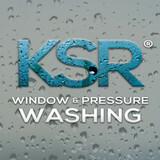 We only use environmentally friendly products in your home or business to keep you, your children, and your pets safe. These are the same products I choose to use around my one year old son at my house. Here at Squeeky Kleen, we have serviced thousands of customers throughout Atlanta over the years. We believe that our proven success has stemmed from our ability to be on time, provide great customer communication, and, above all, delivering what we say we will. My favorite part of the day is the satisfaction I get from hearing how pleased customers are with the quality and service Squeeky Kleen provides. Thank you for choosing Window Cleaning Solutions to clean your windows. We value your trust. Dirty windows rob you of the lovely view that you deserve when you look out onto your property. Window dirt and grime accrues on windows on such a gradual basis that one can grow accustomed to the haze on the interior glass detracting from the view in which you first fell in love. Rain travels in the same patterns over your glass constantly building up water spots that can ruin the glass. It is important that windows are cleaned on a regular basis before dirt and grime get a chance to etch into the glass and spoil your view. Despite its appearance, glass is not smooth. Glass has minute pits and bumps creating a pattern for rain water to flow over the same way time after time. When the rain stops the water left behind joins up with dirt to forms drops. Water spots occur as the sun evaporates the water away and leaves the dirt and minerals behind causing eventual permanent stains. Clear Shine's professional hand washing is so much more than just window cleaning. Clear Shine delivers professional results, competitive pricing and guaranteed satisfaction on all of their services. Whether it's window cleaning, pressure washing, or gutter cleaning, Clear Shine can help rejuvenate your home or commercial space by restoring the beauty lost over time. Using a powerful combination of environmentally safe chemicals and good ol' fashioned elbow grease, Clear Shine rids the exterior of your home of dirt and other debris. From gutters to driveways, porches to patios, let Clear Shine's dedicated and friendly crew bring your exteriors back to life! In this busy life we lead, who has time to clean the house? After a hard day at work and keeping up with the kids, who wants to? That’s why you have All Clear Cleaning; we can scrub your home inside or out. Our family owned and operated cleaning company specializes in window cleaning, gutter cleaning, pressure washing, and interior house cleaning. Ultimately, when customers choose to use our cleaning services, they are buying themselves time. We are in the business of providing our customers with the choice of how they spend their precious time. Because we do this in a way that provides high quality, reliable service, at affordable rates, our customers are very satisfied. Because we offer such an array of services, we make it easy. Contact us today to schedule your next cleaning service! Thank you for visiting the Windows Etc. Cleaning Services website. We exist to provide both commercial and residential services in the area of window cleaning, gutter cleaning, and pressure washing. We have been in business since 2006 and have gained a great reputation in Metro Atlanta for our professional and friendly service at an affordable price. With managing partner Doug Bell having sixteen years experience in the business, partner Demetrius Finley having ten years experience and utilizing the administrative gifting of Sarah Bell, you can depend upon our team to exceed your expectations. Please visit our References page to see what our customer have said about us.